Performance Extras: There'll be a meet & greet and book signing post show. A family-friendly, fun filled draw-along for everyone aged six and above. 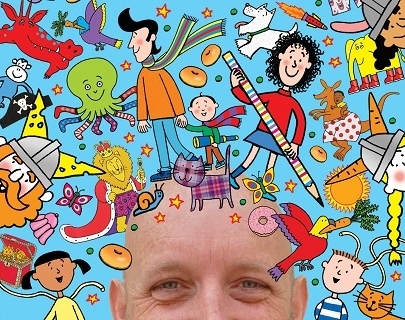 Join acclaimed children’s writer and illustrator Nick Sharratt and draw along with him! He’ll be showing you how to sketch favourite characters like Tracy Beaker and Timothy Pope, sharing ways of creating fantastic creatures like dragons and unicorns, and giving loads of top tips.